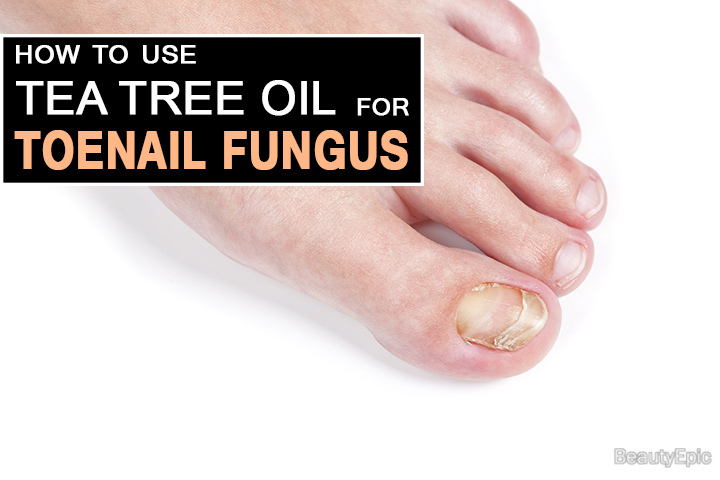 Tea Tree Oil to Treat Toenail Fungus: How to Use? Toe nail fungus is the most difficult situation to deal with. Toe nail fungus is caused when moisture gets trapped in warm conditions and fungus starts collecting over that place. Nail fungus problem starts with white or yellow spot beneath the tip of finger or toenail. we can say it as an infection if there are more spots like this on your other nail as well . It leads to discoloration of the nails also . Tea tree oil is most useful because it has been used extensively for healing injuries in skin and their rich medicinal values makes them good enough in fighting against infections. Applying tea tree oil on a regular basis is said to cure fungal infections on nails. Does Tea Tree oil for Toenail Fungus Work? How to use Tea Tree oil for Toenail Fungus? Tea tree oil have antibacterial and anti fungal properties which helps in treating or getting rid from the problem of toenail. It has been declared the most effective oil for many problems. They can also improve the appearance and health of nails at a rapid pace. Let us see some remedies which will help you to get rid of toenail fungus. Coconut oil is one of the most effective oil for any problem, it has anti fungal properties, because of its strong properties it is considered a natural remedy in treating toenail fungus. Then bind the ball with bandage to you toe before going to bed and leave it overnight. Best time & Repetitions: Apply the mixture once in a day preferably at night. You can notice improvements within 4 weeks. Vicks have many strong ingredients in it which have the power to fight against fungus. Let it dry for few min. Repetitions: Repeat this process once in a day. Best Time to apply: Before bed. Epsom salt has the ability to smoothen the skin very fast due to this the ingredients present in it gets a space to react against fungi. Apple cider vinegar dis- comforts the fungus and it doesn’t allow it to enter the nail due to the presence of anti fungal properties. Repetitions: Repeat it twice a day. Best Time to apply: Morning and before bed. Oregano oil has fungicidal properties which makes it an effective remedy to get rid of nail fungus. Repetitions: Repeat the process once a day. Best Time to apply: Before rest. Orange oil has fungicidal properties which means it does not allow fungus to enter at any place. Note: The ball should be place on the nail for 3 minutes and repeat this activity daily. Best Time to apply: At leisure. The allicin present in garlic gives out strong antimicrobial properties which are effective in dealing fungus. Preparation Time: 15 minutes minutes. Add garlic cloves and let it simmer for 7 min. Repetitions: Repeat the process 3 times in a day. Fungus is easy to catch, but If left untreated it can cause serious issues soon. Taking action at the right time is important for your health to remain good. Nails though a small part of the body, cannot be ignored. Look for symptoms at an early stage and use Tea tree oil at a regular basis to avoid further damage and restore the health of your nails in time. How to Prepare an Apple Cider Vinegar for Toenail Fungus? 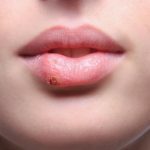 How to Use Tea Tree Oil for Yeast Infections? 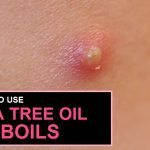 How to Use Tea Tree oil for Boils? 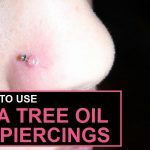 How to Use Tea Tree Oil for Piercings? How To Get Rid Of Fever Blisters Using Tea Tree Oil? Tea Tree Oil for Toenail Fungus :It has antibacterial and anti fungal properties which helps in treating or getting rid from the problem of toenail.